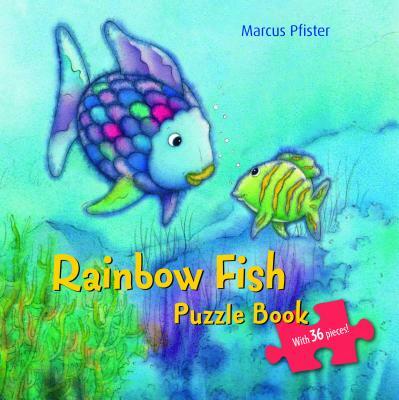 Children will love putting the Rainbow Fish puzzles together on each spread. When they are finished, they can take the puzzles out and put them all together on the floor to form a big underwater scene with Rainbow Fish and all of his friends. Each full-color puzzle has sturdy board pieces that fit right inside the pages of the book—so they’re fun to put together and easy to keep together! The 36 puzzle pieces are perfect for preschool hands.